At Drytac we have several certified product ranges. One of our most popular brands, SpotOn®, has achieved a Class B1 Fire Rating to the DIN 4102-1 standard. This widely recognized accreditation means this product range can be used in public areas that must adhere to strict fire regulations – opening up a variety of new applications and markets. Featuring Drytac’s unique dot-pattern removable adhesive, it allows for tool-free, bubble-free application to most flat surfaces and clean removal after use. The SpotOn range is designed to be easy to use which allows non-professionals to install it – people who may be less aware of safety regulations – so it’s important that the product is as safe as possible. In addition, specialist floor media SpotOn Floor 200 has an R-10 anti-slip rating post print according to DIN 51130 and classed as ‘low slip potential’ according to EN 13036-4. This 200 micron (8 mil) embossed printable white matte monomeric PVC film is therefore ideal for a multitude of high-impact floor graphics applications. 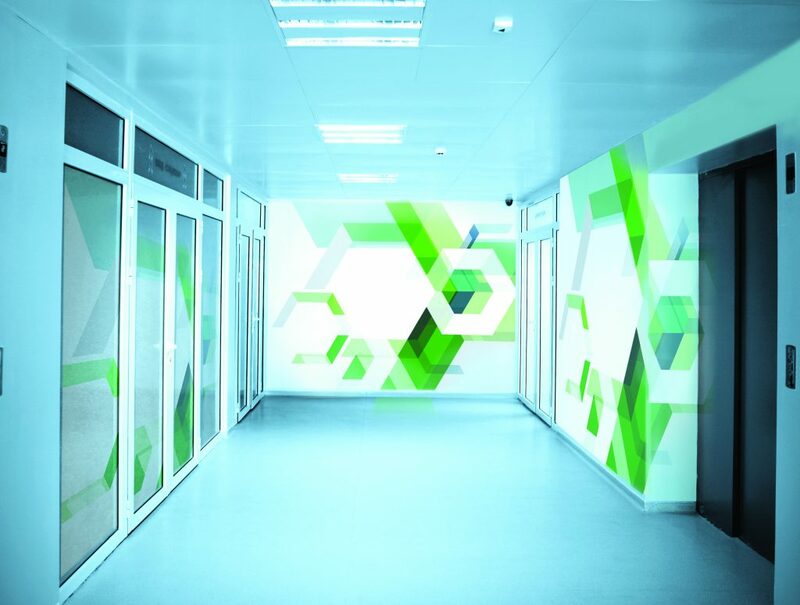 For wall graphics, ReTac® Smooth 75 polymeric PVC film and ReTac Smooth 150 polymeric PVC film have also been developed with safety in mind. These products are designed for longer-term applications but are also easy to apply, reposition and remove. Each product has a Class 0 fire rating according to BS746 part 6 & 7 to provide certified graphics for airports, hotels, retail stores, hospitals and more. It is important to understand that typical graphic media will do little to prevent a building fire from spreading, however certified materials will not contribute to it or spread it through flaming particles. It is essential to carry out research ahead of all display projects based on their intended location and use – with Drytac able to provide advice on its extensive range.